The 17th-century Queen’s House at Greenwich is marking this year’s Centenary of World War I with a wide-ranging display of the works of naval war artists from the 20th century. In the UK, official war art was used not only as a way of raising morale both on the home front and among the troops overseas, but also for wider purposes of commemoration, instruction and documentation. 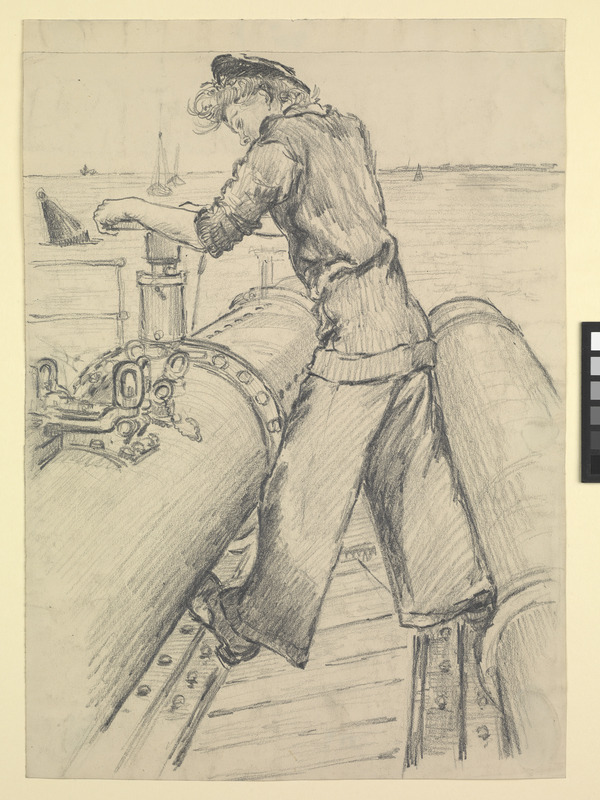 The exhibition, entitled War Artists at Sea, uses this variety as a focus, with rooms dedicated to the home front, action at sea, life onboard ship and the faces of those caught up in war. 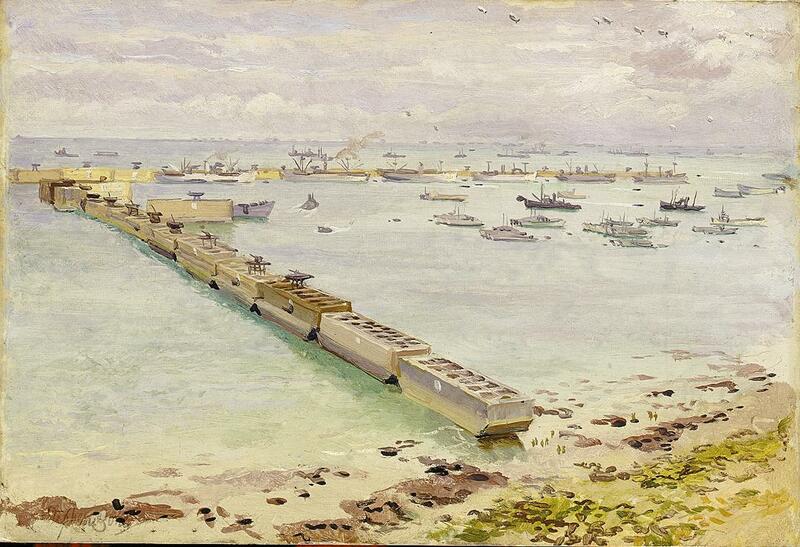 The paintings often explore unexpected viewpoints and gripping turning-points in the conflicts, taking the visitor from John Everett’s energetic depiction of a convoy of merchant ships in 1918, to Richard Eurich’s strangely tranquil portrayal of the evacuation of Allied soldiers from the beaches of Dunkirk in 1940. Other images reveal the day-to-day lives of those at war from intimate snapshots of life on board ship, to posthumous portraits of Victoria Cross winners. Until 15 July two rooms are dedicated to sketches, pastels and watercolours that tell personal stories of artists at war. William Dring’s portraits in pastel capture the faces of distinguished war heroes and young naval servicemen while the lesser-known Gladys E Reed documented her service as a Wren (member of the Women’s Royal Navy) and provides an intriguing insight into the role of women in World War II. 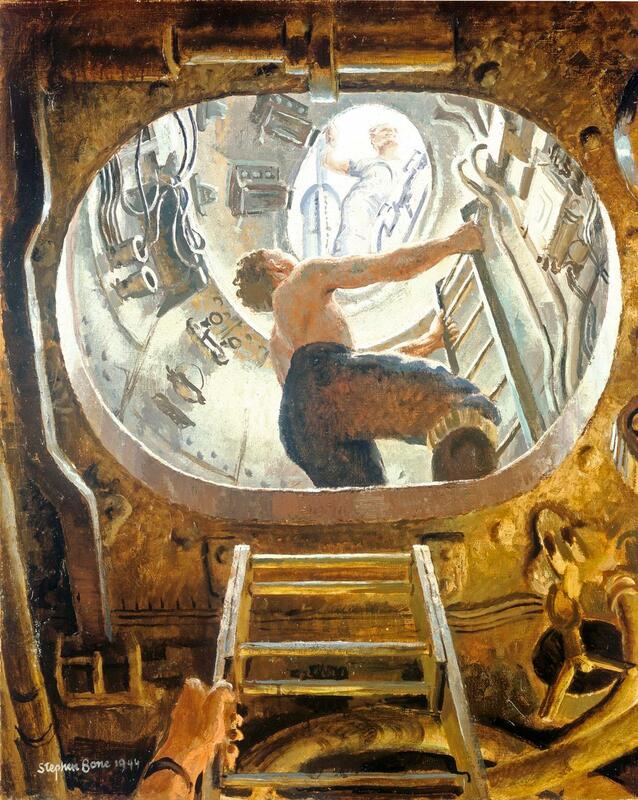 Also highlighted is John Worsley, the youngest official war artist in the Royal Navy, whose works detail his time spent in a naval officers’ prisoner-of-war camp in Germany. From 15 August the focus switches to the works of John Everett, an official World War I artist who was particularly interested in depicting dramatic camouflage schemes designed to confuse the eye of any pursuer, and Eric Ravilious, one of the few official war artists to be killed while on duty. Ravilious was inspired by themes of art and industry, shown in the exhibition through a selection of sketches and prints, including a series of images depicting life in the confined conditions of a submarine. 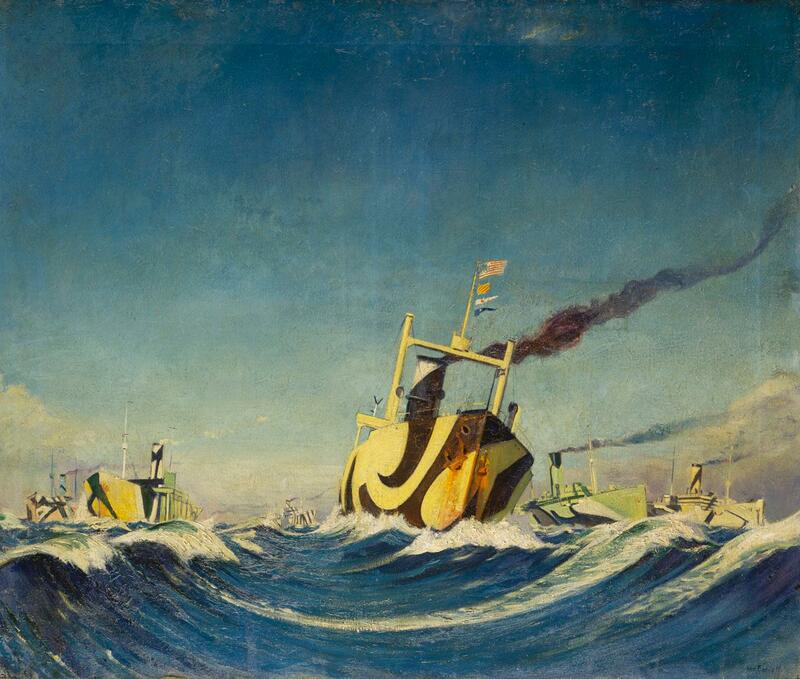 To find out more about War Artists at Sea, click here. This entry was posted in Events and tagged Centenary News, Eric Ravilious, First World War Centenary, Gladys E Reed, Greenwich, London news, news, Queen’s House, Royal Navy, UK News, war artists, War Artists at Sea, William Dring, WW1 Centenary. Bookmark the permalink.